maximizing the impressions into installs conversion rate. In general, optimized app listings help app publishers save marketing budgets as among all things ASO triggers free downloads. Amid 63% of apps being found via search, ignoring ASO, you fail to harness this highly important discovery channel and your app gets lost among the myriads of other applications. app store product page optimization. 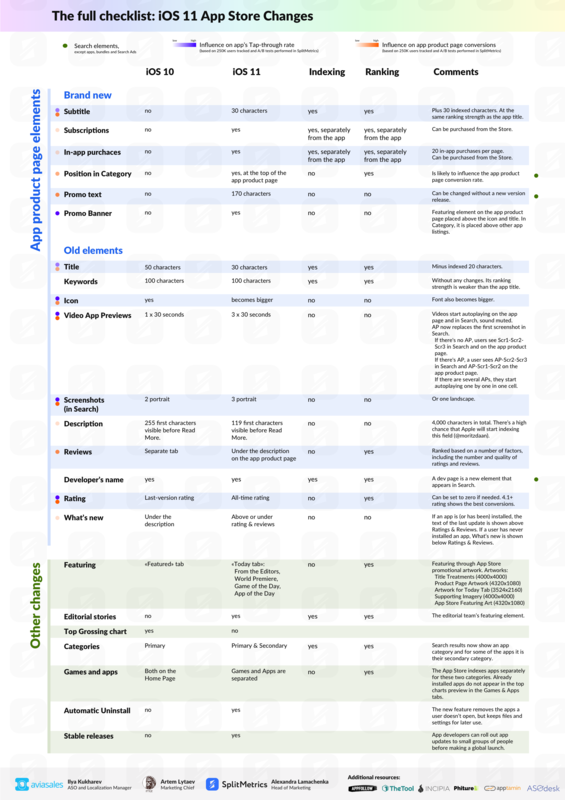 SplitMetrics team developed the Ultimate App Store Optimization Guide to help marketers puzzle out ASO. The App Store shifts the focus from an app discovery platform to the store itself. With the autumn’s update, app product pages will get shorter titles, subtitles, promo texts, in-app purchases and a smarter app rating and reviews system. Hundreds of publishers perceive ASO exclusively as app keyword optimization practice which is not the best approach. It’s vital to optimize not only metadata containing app store keywords but also such product page elements as screenshots, icons, video previews, etc. Eventually, these visuals may be deal breakers when it comes to making a decision about downloading your app. Nevertheless, when we talk about app’s discoverability, nothing works better than smart app keyword optimization. 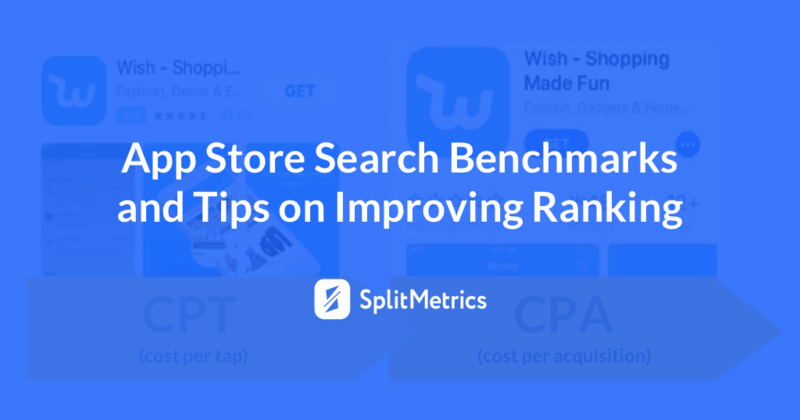 Before getting down to polishing your app store keywords, it’s important to learn which metadata elements of the renewed App Store are indexed and which are not. Mind that the way apps are shown in Search changes as well. Surprisingly, these small enhancements have a significant impact on the number of installs and the way people install the app. Screenshots used to be the element that influenced app page conversions most. With subtitles, an app developer can hook users even before they scroll down to images. For instance, using a call-to-action in the subtitle improves a tap-to-install conversion rate by 15-20%. On top of that, vision-based subtitles (“Be an artist!”) influence the number of direct installs, which are made right after opening an app product page. With feature-based subtitles (“Turn photos into artworks!” or “30 filters for your photos!”), people install after checking features on the screenshots and in the description. While subtitles are to beat screenshots in their significance, a short promo text is about to replace descriptions. A short and catchy promo text can show an average 35% conversion lift (that said, we’ve seen a maximum increase in 75%), raising flags for knowledgeable ASO specialists. An app description was the last thing we recommended to A/B test in the old store since we’ve seen only a slight impact on conversion rates. According to our statistics, only 2% of people click the “Read More” button and engage with a description. A promo text replaces a description, and the best practice of using it is to promote special offers, events and important updates and use it as a description summary in other cases. Just like shop windows, right? And just like when going to the store, people check in with others whether they like the product they are going to buy. Generally, 58% of users look at Ratings and Reviews before making a decision on installing an app. 4.1 and higher is the rating that shows the highest TTR and TTI, and now there’s no need to make people review the latest version to achieve this number. Instead of the current app version rating, an average rating will be shown and all-time stars will be counted in iOS 11. That gives shoppers the understanding of the overall attitude to the app and helps app developers get rid of nonsense begging for reviews that would vanish with a new app version. It also appears that landscape screenshots take center stage. In iOS 11, a user sees 3 instead of 2 portrait screenshots in Search. That leads to the scattered focus due to the small, hard-to-read captions and elements. 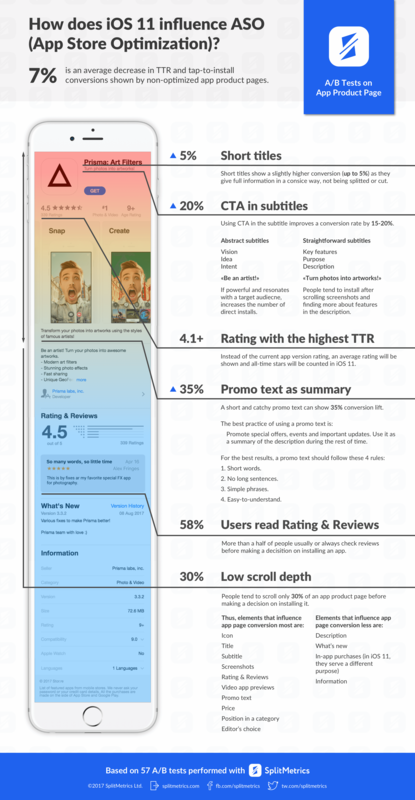 As the result, banner-type landscape screenshots and app previews show 45% conversion lift in Search. Besides, a landscape screenshot with powerful graphics and caption engages people 31% better, comparing to 22% engagement rate with portrait screenshots. 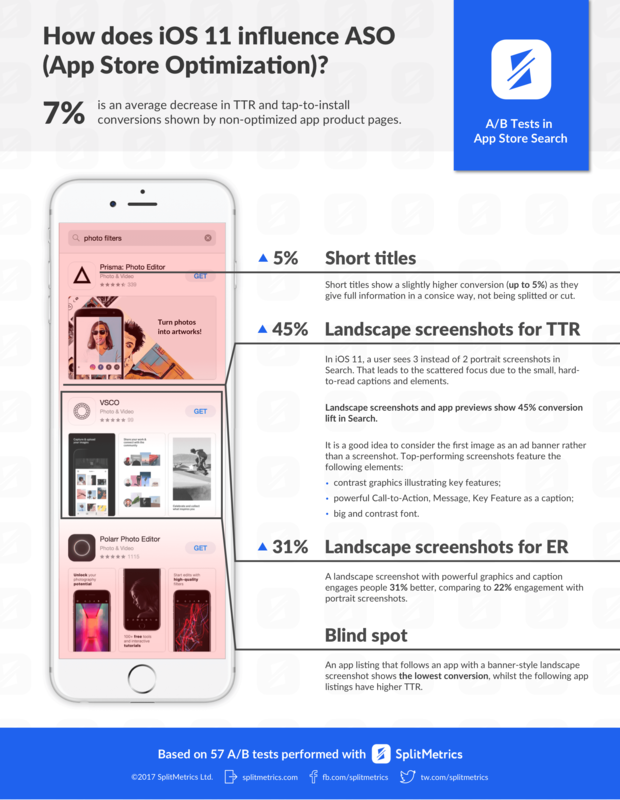 A banner-style landscape screenshot is also a tool to bite your closest competitor since an app listing that follows your app is a blind spot. It shows the lowest conversion, whilst the following app listings have higher TTR. With in-app purchases and subscriptions promoted on the product page, a user can make a purchase without launching an application. That is something that makes the App Store even more sales-focused. Despite the fact that in-app purchases are likely to have an impact on the money people spend in the app, they will hardly influence product page conversions. To spotlight in-app purchases, the App Store will need either to put in-app purchases higher on the product page or continue shifting focus unless users and app developers start perceiving the store as the place for purchases rather than discovering new cool apps. How to prepare your app store pages? 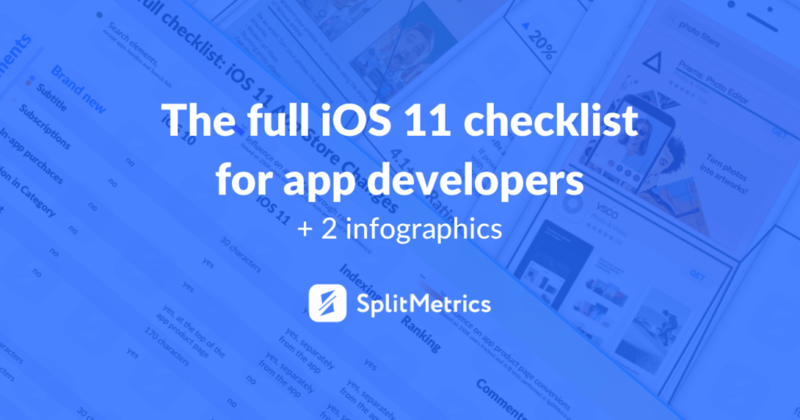 Although you cannot update your app pages with new elements and evaluate results from your developer account, you can check your app pages performance and optimize them for iOS 11 App Store Design with SplitMetrics. 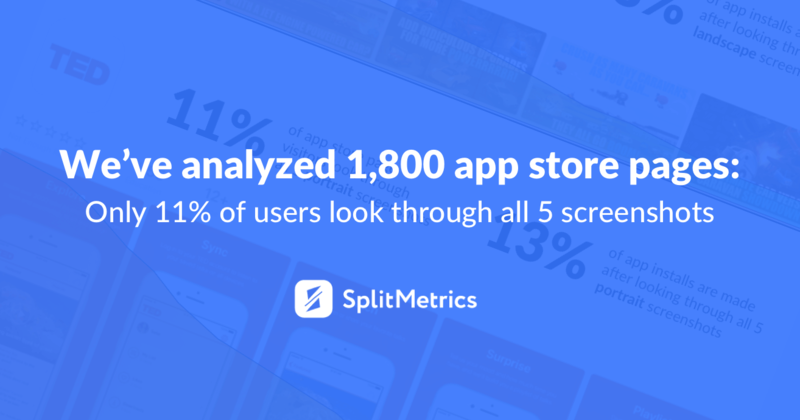 SplitMetrics is an app A/B testing platform that allows you to multiply app installs and increase ROI by optimizing screenshots, icons, texts, and other app page elements. Want to prepare your app store pages for iOS 11? Hey Alexandra, thanks for sharing the insights. Love this article! You say, landscape screenshot is the best option for the first one. I agree, with iOS 11 App Store design it looks much more catchy than the three portrait screenshots. But what if my app is a portrait one and I have a set of screenshots where the first one is horizontal and the rest of them are portrait? How is this going to look inside the app page? Did you try this kind of setup? Thank you for an amazing question! We suggest to use either landscape or portrait screenshots, not mixing them, and test different variations. That said, your app store screenshot strategy with iOS 11 will depend on your key traffic source – organic or paid. For instance, if you get the majority of users from Search or Apple Search Ads, pay attention to keyword optimization and app page rankings, there’s a great change horizontal screenshots (or video app previews) can boost your results significantly. 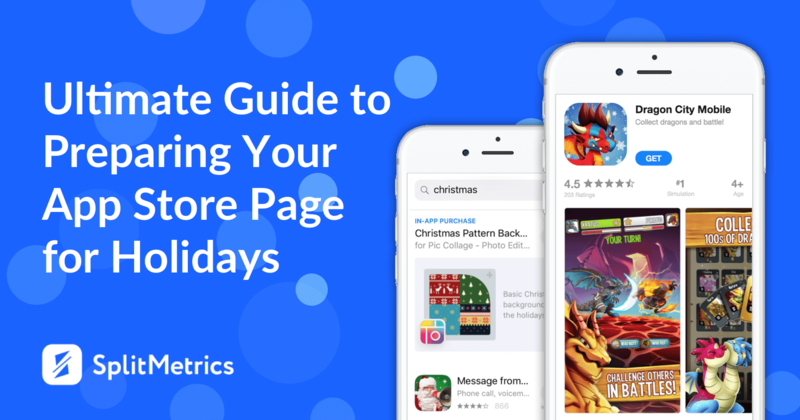 If you’re driving traffic directly to the app product page from, let me say, Facebook or Google ads, portrait screenshots are likely to perform better (like in the Rovio’s case). However, it is all about testing! You can compare different screenshot variations in the App Store iOS 11 with SplitMetrics and choose the one that brings both more taps from Search and increases TTI conversions. Thank you for a thorough reply. We’ll see what works best. Yay – we’re also working on the iOS 11 checklist, and will publish it today. So, I hope you will benefit from it as well!